2 rechargeable batteries included: Extend the play time from 88 minutes to 176 minutes - never afraid that the power will go off while watching your favorite movie. Ultra 170°Wide-Angle Glass Lens: It allows you to capture more of yourself and your surroundings, ultra captivating footage of every adventure. 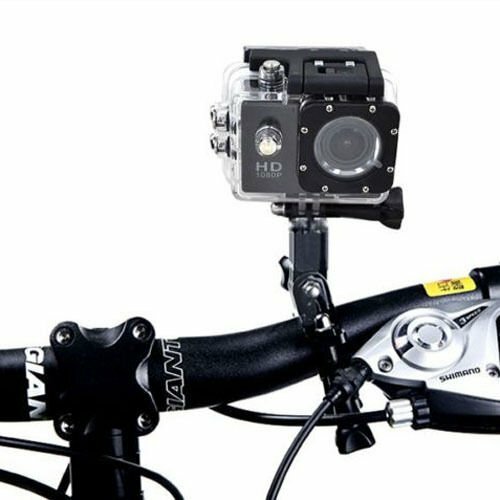 Wearable and Mountable: Compatible with GoPro Hero/SJCAM Mounts (60+ mounts and accessories). The DBPOWER Action Camera helps capture a wide variety of activities. Application: It can be used for extreme sports, outdoor sports, security devices, recording your car driving, etc.